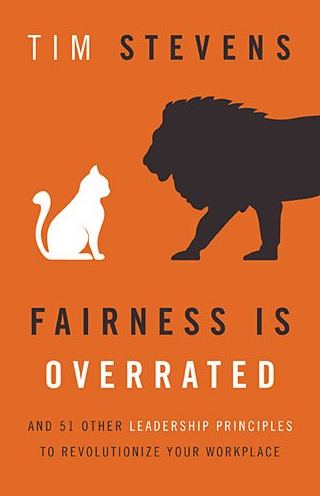 Pastor Tim Stevens released his new book, Fairness is Overrated, and offers up amazing advice for Christian leaders, both in the church and in business. Tim spoke about the book, detailing som of the key topics, with Brandon Jones on Dispatch Radio. “My kids call it stalking….creeping,” Stevens said when asked about the one main idea which has instigated a strong reaction from his book. “There’s just tremendous amounts of information out there,” he says of each person’s Internet footprint, which he says should be evaluated before adding an individual to your team. 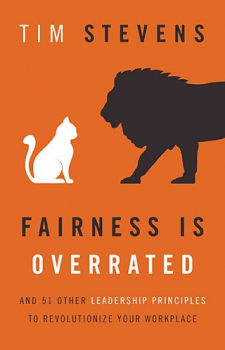 Fairness is Overrated is an interesting title and Pastor Stevens explores the meaning behind this choice, how each and everyone of us is “unfair” with their time, even Jesus Christ, and Tim explains how/why. Time can be valued added, selected to benefit the business, group or personal growth – this isn’t a bad thing, he proposes and explains. “Going dark” is another one of the concepts which Pastor Stevens discusses in the book and talks about during the interview. Abandoning technology for a set amount of time can be a scary proposition for some, but Tim explains why it’s important. Listen to the full audio below.